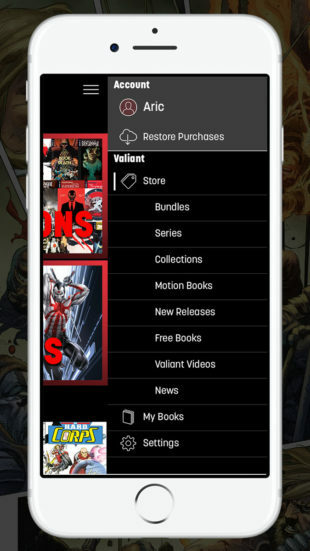 Plus:the official Valiant Comics mobile app is opening the vaults and offering unfettered access to hundreds of long out-of-print issues from the classic Valiant Universe, spanning more than 25 years of groundbreaking comic book history! The Valiant Universe is yours to explore! 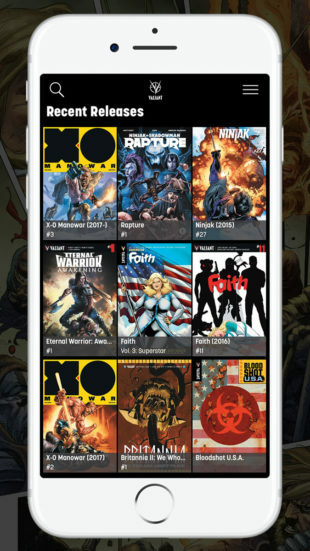 Find out why Buzzfeed calls Valiant “a universe full of your new favorite superheroes” and discover a limitless library of award-winning adventures, timeless classics, and brand-new releases with the official Valiant Comics mobile app – available now for all iOS devices! Valiant Entertainment is a leading character-based entertainment company that owns the largest independent superhero universe in comics. With more than 80 million issues sold and a library of over 2,000 characters, including X-O Manowar, Bloodshot, Harbinger, Shadowman, Archer & Armstrong, and many more, Valiant is one of the most successful publishers in the history of the comic book medium. 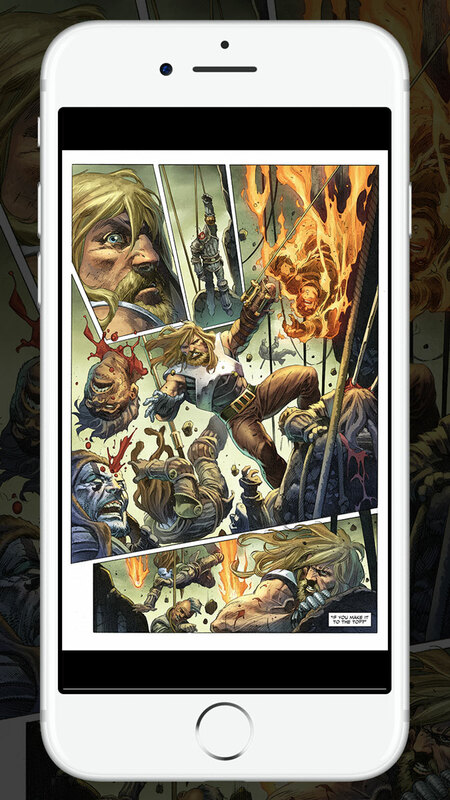 Today, the company’s characters continue to be forged in publishing, licensing, film, video games, and beyond. 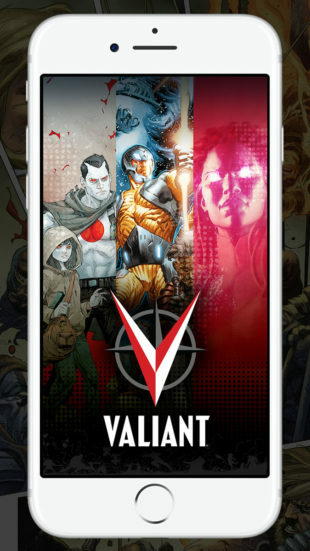 Valiant consistently produces some of the most critically acclaimed comics in the industry and has received numerous industry awards and accolades, including a Diamond Gem Award for Comic Book Publisher of the Year. In 2015, Valiant announced a multi-picture deal to bring Bloodshot and Harbinger to the big screen as feature films. 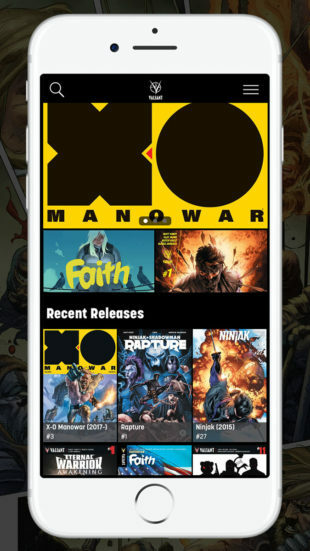 Visit them online at ValiantUniverse.com. 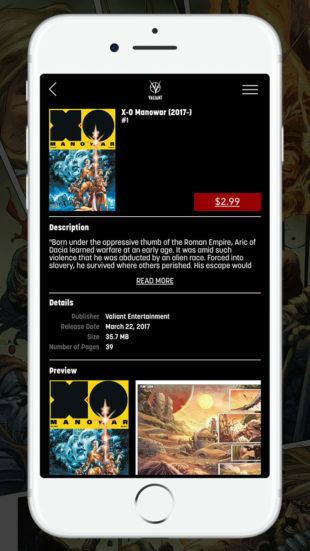 Visit them online at ValiantUniverse.com.